1. 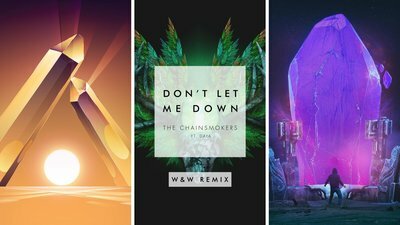 The Chainsmokers, "Don’T Let Me Down – W&w Remix"
3. League Of Legends, "Piercing Light (Feat. Mako)"
5. Castell, "you Got It Wrong (Radio Edit)"
7. Cosmic Gate, "Am2Pm (Radio Edit)"
8. Edx, "Breathin' – Radio Mix"
9. Dash Berlin, "World Falls Apart – Thomas Gold Radio Edit"
10. M83, "Midnight City – Eric Prydz Private Remix"
11. Just A Gent, "Limelight (Feat. R O Z E S)"
12. Pierce Fulton, "Runaway – Radio Edit"
13. Martin Solveig, "+1 (Feat. Sam White)"
15. Martin Garrix, "Now That I’Ve Found You (Feat. John & Michel)"
16. Ev & Mgk, "Goodtime (Feat. Lorine Chia & Machine Gun Kelly)"